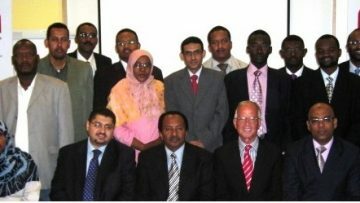 In 2005 the Sudanese Government and the Sudan People’s Liberation Movement signed the “Comprehensive Peace Agreement”. As a result elections will take place on all levels in early April 2010, followed by a referendum on the status of South Sudan in 2011. Therefore national and international training activities are underway for election officials.